The number of Egyptians killed in the Mina stampede during Hajj has risen to 124, revealed Egypt’s Ministry of Health. Egypt’s government added that 70 Egyptian pilgrims remain missing and 16 are still in hospital receiving treatment. Egypt’s Consulate in Jeddah has uploaded photographs of unidentified persons killed and injured during the stampede and has asked families and friends of anyone they can identify to immediately contact the Consulate. The latest figures were revealed after Egypt’s Health and Population Minister Ahmed Emad Eddin and Endowments Minister Mohamed Mokhtar Gomaa traveled to Saudi Arabia to visit the injured in hospital and help families of the Egyptian victims. Egypt has reassured the families of those injured that they are receiving high quality medical care in Saudi hospitals. 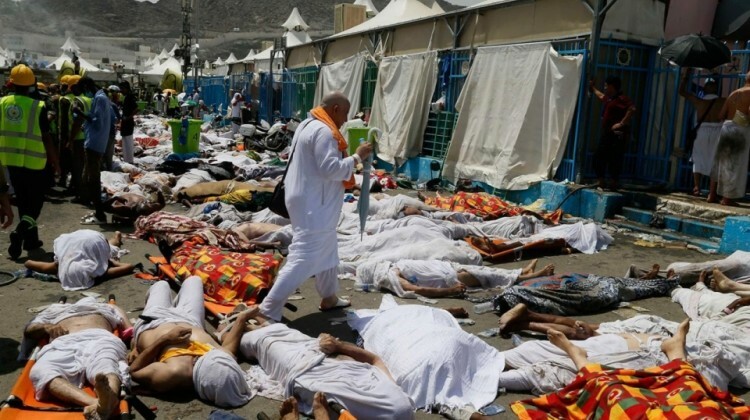 The stampede, which occurred near Mecca, has killed more than 1,000 pilgrims, reported Saudi authorities. Despite calls by Iran for the ‘internationalisation’ of the management of the annual Hajj, Endowment Minister Gomaa rejected the idea and offered full support for Saudi Arabia. The number of Iranian pilgrims killed in the stampede has risen above 450, stated Iranian authorities. Saudi Arabia continues to investigate the incident amid widespread criticism.